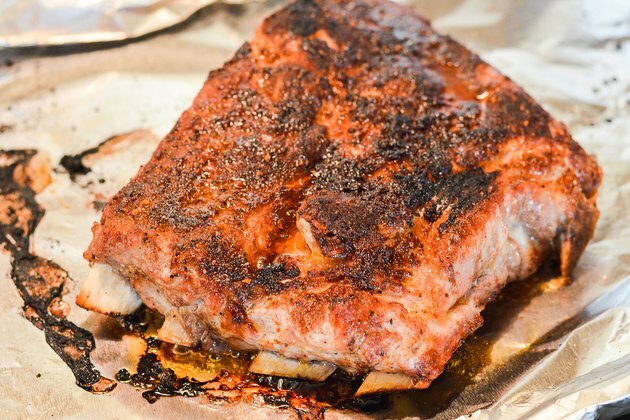 There's no substitute for cooking ribs outdoors over charcoal, but when that isn't an option, your indoor convection oven can be a viable alternative. 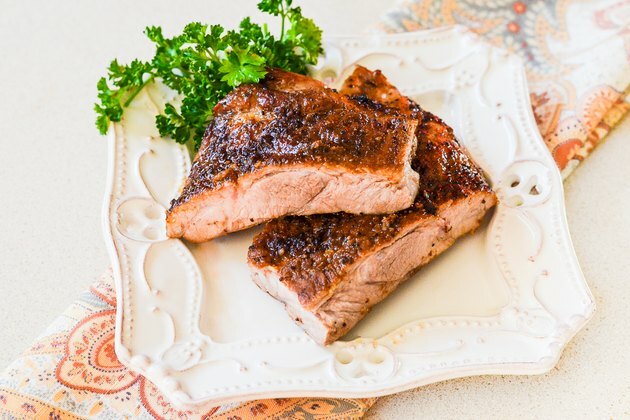 The moving air in a convection oven transmits heat to your ribs more effectively than a conventional oven, browning the ribs beautifully and helping your spice rub create a barbecue-like surface on the outside. 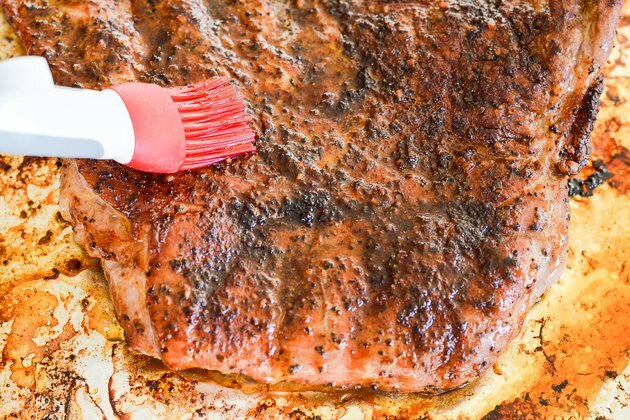 The shorter cooking time also helps keep your ribs moist and juicy. Peel the tough sheet of membrane from the back or concave side of the ribs, and discard it. 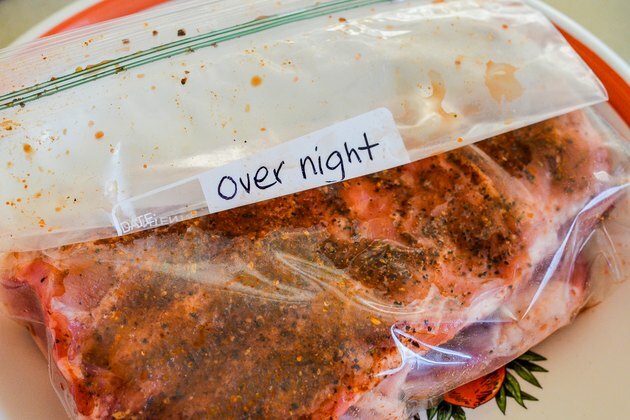 Rub the ribs with your favorite dry spice rub or wet seasoning paste, then cover them with plastic film wrap and refrigerate them. The spices need at least 4 hours to begin flavoring the meat, though up to 24 hours is better. Preheat the oven to 325 degrees Fahrenheit, and turn on the convection feature. 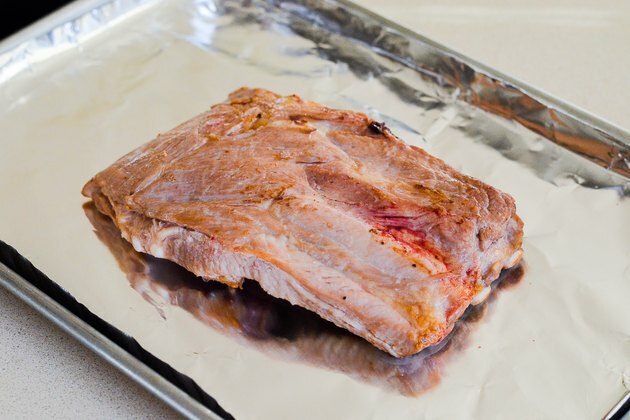 Line a sheet pan with aluminum foil or parchment paper, to speed cleanup, then arrange the racks of ribs evenly on the sheet. Slide the sheet of ribs into your oven and bake them for 2 to 2 1/2 hours, or until the bones move freely when you grasp one and rotate it. Baste the ribs periodically during the second hour of cooking, or brush on a glaze when they're fully cooked and increase the oven temperature to 500 F for 5 to 8 minutes to caramelize the sauce. 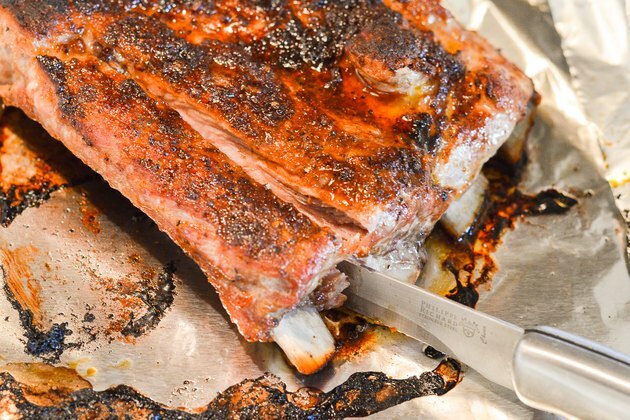 Remove the ribs from your oven and cut the racks into smaller serving portions or individual ribs. Serve hot. 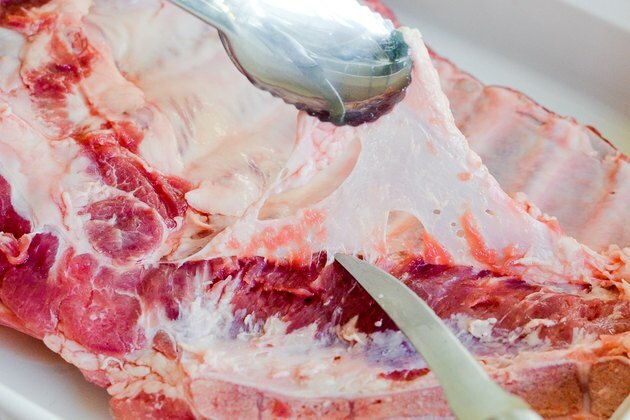 Remove the membrane, or "fell," from the underside of each rack of ribs. Use a sharp knife to trim off the thin end and lower edge of each rack, to give the racks a neater appearance. This is optional, but the trimmed racks will cook more evenly. Rub the ribs thoroughly with your favorite seasoning paste or dry spice rub, and refrigerate them overnight. Preheat your oven to 300 degrees Fahrenheit, and switch on the convection feature. Line a heavy-duty sheet pan with foil or parchment paper, then arrange the big racks of ribs on it. Place the ribs in your oven, and slow-roast them for 3 to 3 1/2 hours or until a rib bone turns easily when rotated. If you like your ribs to have a cooked-on glaze, baste them repeatedly with your preferred sauce during the last hour of cooking. Alternatively, glaze them at the end of their cooking time, then increase the oven temperature to 500 F for 5 to 8 minutes, until the glaze is caramelized. Remove the ribs from your oven and cut them into individual serving portions of one to four ribs. Serve hot. 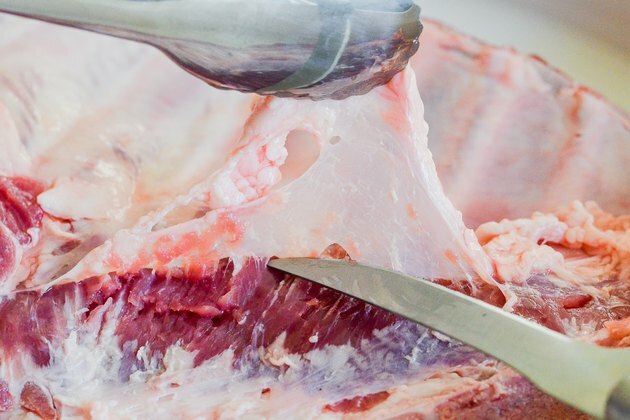 Temperature is an uncertain guide with ribs, partly because it's difficult to use a thermometer in a cut that's very thin and contains so much bone and fat. 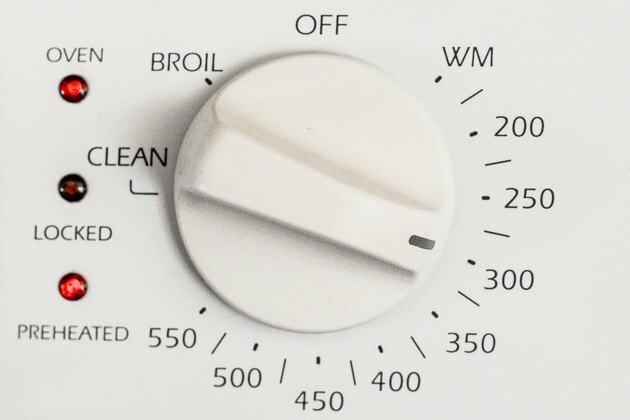 Further, the ribs must remain at a temperature of 160 F to 180 F for an extended period before their connective tissues fully dissolve.